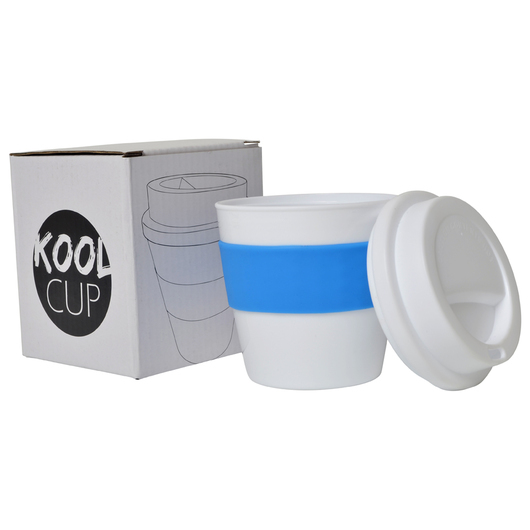 Produced fast and a great price makes these cups a cool choice. 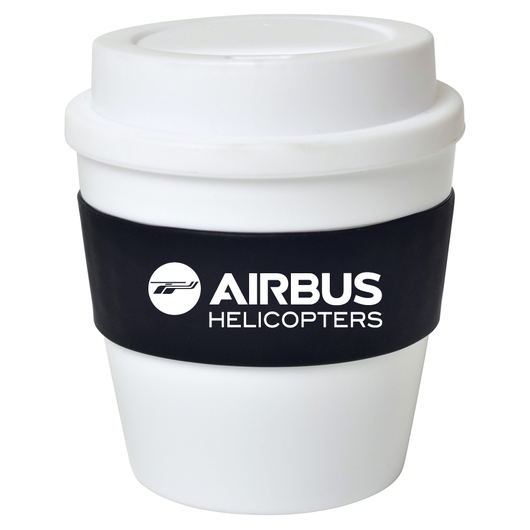 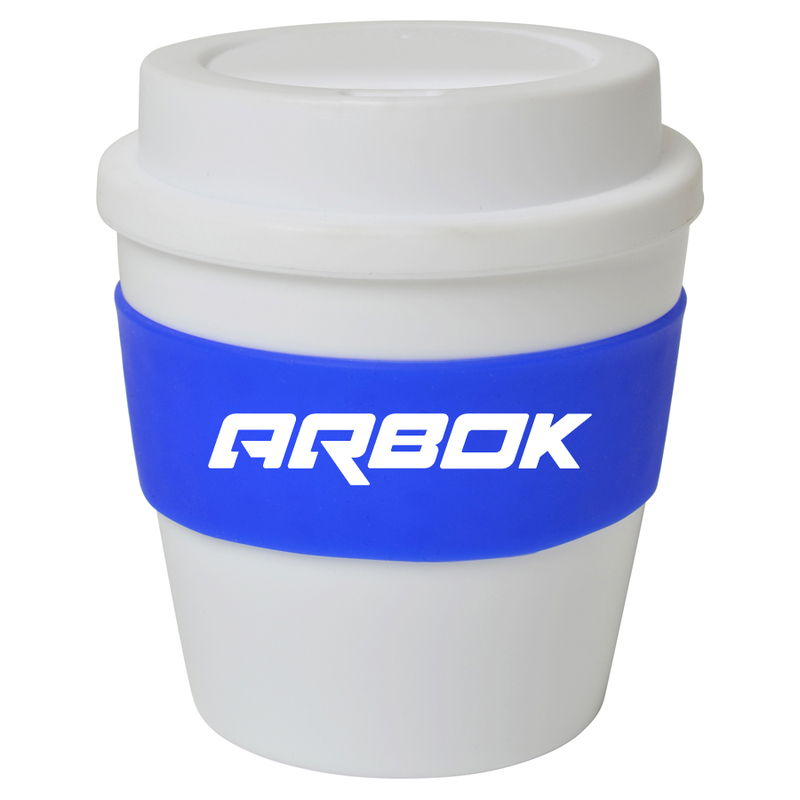 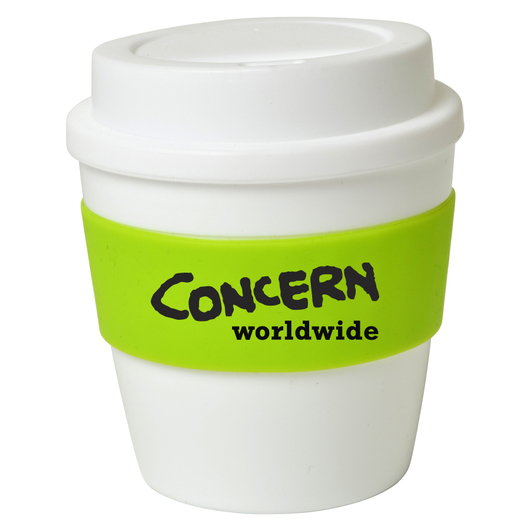 The coolest way to enjoy your coffee and promote your brand is now here! 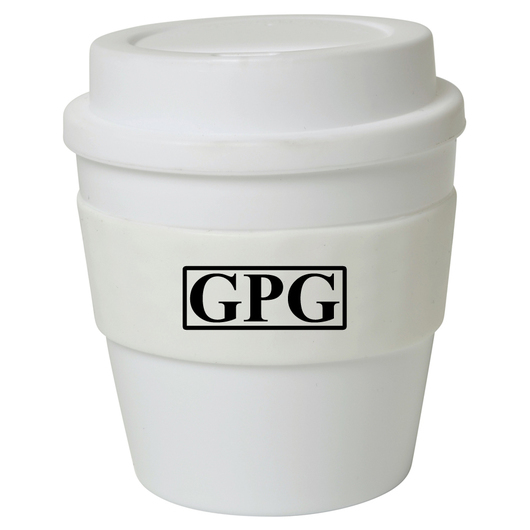 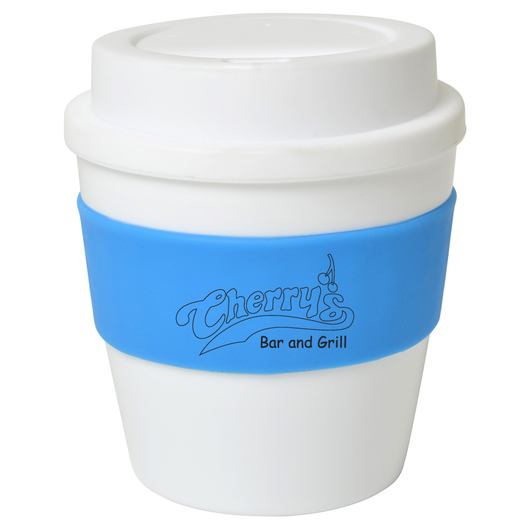 Available with a white cup and 7 different band colours these cups are a great price and produced fast! They have a single wall build and are made from food grade polypropylene with a screw on lid and silicone heat band. 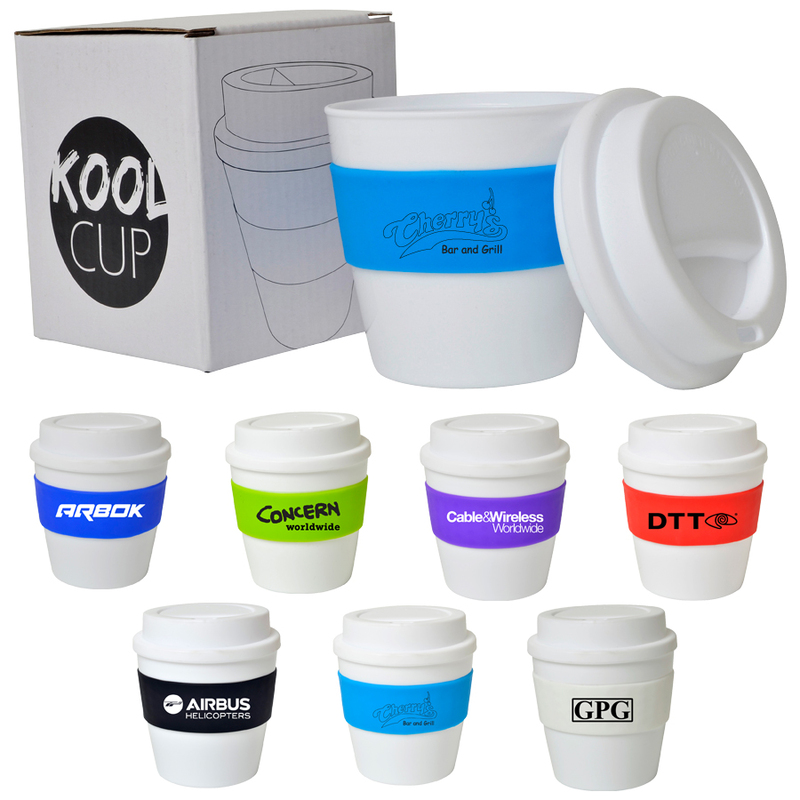 They have a capacity of 235mL and each comes individually boxed in a retail style packaging.